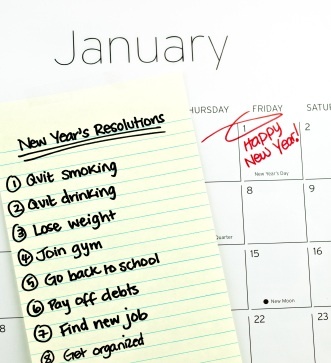 We’ve all made New Year’s resolutions and promptly broken them – especially health-related ones. Most people don’t know that when they keep the most common resolutions – stop smoking, lose weight and stop drinking – they can save a lot of cash on health bills. Carrie McLean, consumer specialist at eHealthInsurance would like to let you know about how you can cash-in by sticking to your New Year’s resolutions and achieving your 2012 personal goals. 1). Quit Smoking – You can save 13 to 23 percent on your health insurance costs if you don’t smoke. •According to eHealthInsurance.com, in 2011 women smokers paid 23 percent more, on average, for their monthly health insurance premiums than non-smoking women. Men who smoke pay 13 percent more, on average, than men who don’t. •If you plan to quit in 2012, you can save well beyond just the cost of cigarettes. 2). Lose Weight – People with the healthiest Body Mass Index (BMI) typically pay less for health insurance. •According to a 2011 eHealthInsurance.com survey, adults age 20 and over with a body mass index (BMI) of 30 or higher (obese, according to the CDC) pay an average of 22.5 percent more in monthly individual health insurance premiums compared to people with a BMI in the normal range. •According to a survey conducted by Towers Watson and the National Business Group on Health, nearly 40 percent of mid- to large-sized companies are expected to use fees or other penalties to encourage healthier habits in 2012. 3). Drink Less – People who drink moderately have a decreased risk of several diseases, including colorectal, stomach and ovarian cancer. · How much a person drinks can possibly affect his/her health insurance costs – especially long-term. By cutting back on alcohol, you’re not only saving money today, you could be saving on future health care costs too. Be sure to get your free copy of Individual Health Insurance for Dummies. Good thing I have started these three tips already. I haven't smoked or drank in like 4 months and don't plan on it. I was looking at my budget and I sure have been saving more money since I have quit. I sure am glad I don’t have to cut back on my TV service since I subscribe to DISH. I save tons of money with them compared to anyone else. DISH has 24-7 customer support and even is offering HD Free for Life to qualified customers. Working for DISH, my experience has been great. I recommend it to all my friends and family not only because the great deals available everyday but because the customer support available. Every penny counts and this year will be a great year.